​Can you escape in time? 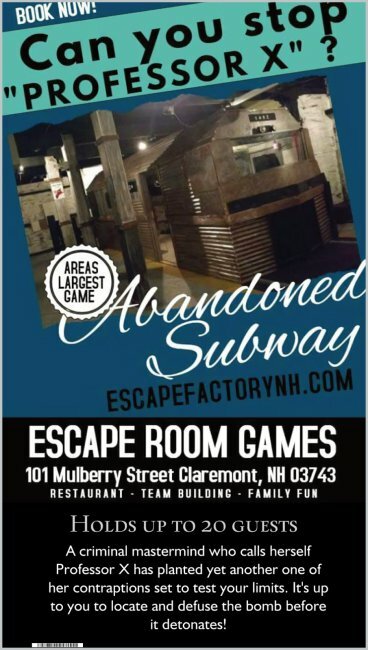 Perfect for an unforgettable group, party, corporate, or team-building experience! Themed cocktails, full service restaurant, 17 draught lines and more await. Come to play and stay to dine. Enjoy 10% off dining purchases same day as game play. - Anyone under the age of 18 must have a release form signed by a parent or guardian prior to game play. 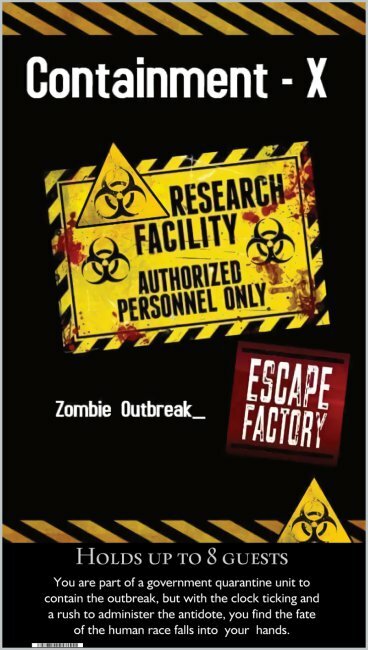 - In escape rooms it is common that you may be in a room with other group members unless you select private game. - Groups under 18 MUST have an adult in the group to play. Further info can be found under the FAQ section at the top of this page. This room can hold up to 20 guests for Team Building Events. Email us prior to booking. Just ask for the Plutonium Upgrade via email contact. LIVE ACTOR GAME - Not intended for small children. Can only be booked in groups of 4-8 to play. The trap has reached unstable levels and is about to release all of its captured entities back into the city. It's up to you to stabilize things before it's too late! ​Rules for booking THIS game are different than the others. This will test your limits and is not for everyone. Temperature will vary on purpose in your captures holding pen. No cell phones or electronic devices. Extended waiver required. 18+ only. Must be booked in groups of 7. If someone in your group hits the panic button the game is over. If you are afraid of the dark and fog or are claustrophobic this game is not for you. If you have medical conditions that could be triggered this is not recommended. Gain entry to the cabin and barricade yourselves inside before the killer returns! Can hold up to 12 guests. Our most challenging game. Not intended for those under 18 years of age. Fastest way to reach us is email as we are in games and do not man the phone. WE COME IN ANYTIME TO FIT YOUR EVENTS NEED.